It was a very good year for us personally and we have much to be thankful for: a good job, new grandson, wonderful kids, my son is fishing again, good friends and our health. Let's hope the rains come, the rivers rise, and we fish more in 2017 - and we'll blog more, promise. I finally got on the water at around 3:30 pm. You see, I had arrived at the river about a half hour before that, put on my waders and vest, only to find that in my haste to get out of the house I forgot to put my rods in the trunk of my car with the rest of my gear. Thankfully, I live only 10 minutes from the South Branch of the Raritan River, so I still had time to get in an hour or so of fishing before darkness set in. The air was calm, 36 degrees F, and a light mist fell softly making for a raw but pleasant late afternoon on the water. Did I say that? Yes, sometimes it feels good to stand in a quiet stream, the cold, heavy air pinching at the bare skin on your face and hands. It reminds me that I'm lucky to be alive and that all my senses work; it reverses the numbness that sometimes takes over the rest of my daily life. The river was clear, sort of low for this time of the year, and right around 41 degrees F. I was fishing my 10 foot, 3 weight, which has become my favorite rod to fish when the air is calm. It even casts quite well in a light breeze, and has enough punch to turnover a hand-tied leader and small dry in those same conditions. Nothing was rising nor were there any bugs on the water or in the air, as you might have guessed. So I tied on about 2 feet of fresh 5x tippet to the end of my already 10 foot leader, before tying on a size #16, green, beadhead Matt's Buzzer. The flow of the river across from where I was standing, and where I believed the trout would be holding, was fairly consistent so I dispensed with adding split shot to the tippet and fished by following my fairly straight line and leader with my rod tip, after throwing an upstream mend with each cast. After about 10 minutes, and a single take that I missed, I decided to switch flies and tied on a #14 weighted Walt's Worm. I fished this fly the same as I did the buzzer, and took a short step downstream after every few casts. A few minutes into it, I had a solid take and after a brief fight landed a very dark brown trout that was about 11 inches in length. I'm pretty sure this was one of the fish from Shannon's Christmas Stocking a few days earlier. I covered most of the length of the pool in about 20 minutes, and although I didn't hook any more fish, I did see a number of fish move and flash in the clear water. Being that the day was closing in on dusk, I decided to go back up to the top of the run, after which I shortened my tippet and tied on a black beadhead krystal bugger size #6. Its one of the few streamer type flies I carry now, and with it, I can cover a lot of water in a short period of time. 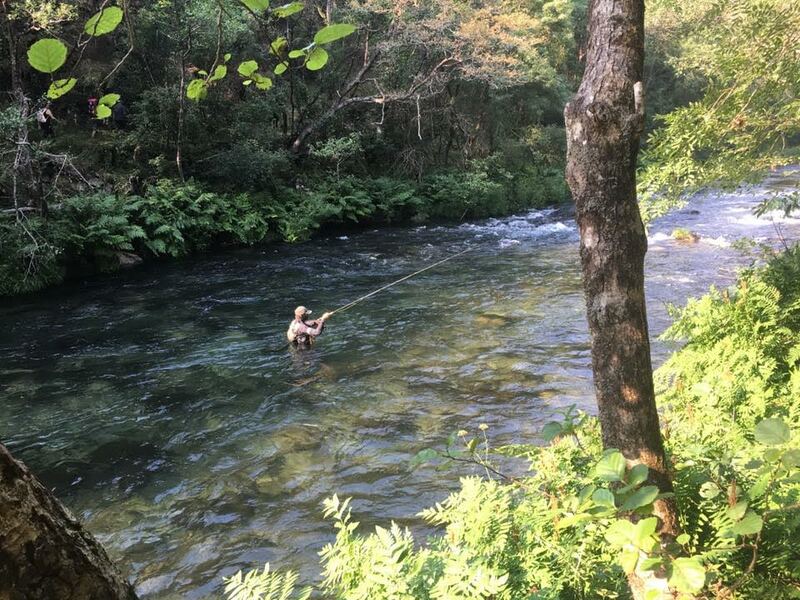 I cast it right up against the bank, sometimes landing the fly on the rocks or in the brush, and if that happened I'd give it a brisk snap with the rod tip to pop it back into the river. Either way, once the fly landed, I'd begin stripping it in short, quick strokes with my rod tip low, perpendicular to the flow. And the fish couldn't resist it. They came off the bottom like a torpedo to chase it, often hitting it short before turning and sliding back down to their holding position. It was crazy streamer fishing from that point on, with fish chasing the fly on every retrieve. I worked every inch of the water, stepping downstream every few casts. I slowed up slightly, and began hooking up and landing fish. More often than not, the strikes were short grabs of the marabou tail, but when they wanted the fly, they took it in and stopped its forward motion instantly. In the last half hour of light I hooked 9 or 10 fish, and landed 6. As the light faded, a hard take separated my tippet from the fly and I called it a day. A few days ago Shannon's Fly Shop stocked the Califon, NJ section of the South Branch of the Raritan River with a load of browns, rainbows and few tiger trout. Many of the fish are bruisers, and two of them they refer to as Bubba brown and Bubba rainbow, have jaw tags. Catch the Bubba with a jaw tag, release the fish and bring the tag to Shannon's, and you'll win a GLoomis Pro 4X fly rod! Tim put together this quick video that's sure to get folks out on the water this winter. Once all the trees have shed their leaves we're pretty much down to fishing midges and tiny blue-winged olives when trout are rising. The blue-winged olive hatches we encounter are not widespread, but midges can be found hatching on just about very trout stream throughout the fall and winter months. 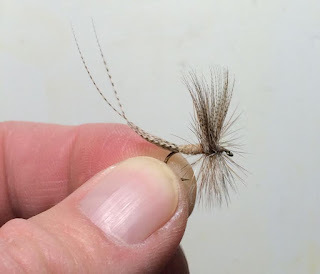 In these two tying videos, Tim Flagler shows us how he ties two different midge dry fly patterns that will imitate the tiny midges you may see over the next few months. Tim and I will be tying together at the International Fly Tying Symposium this weekend. Hope to see you there. 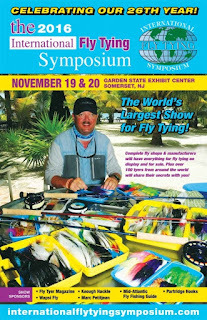 Next weekend the International Fly Tying Symposium is coming to Somerset, New Jersey once again. For most people, there’s never enough time or money. For fly-tying addicts, you can add never enough hooks, tools, tying materials or anything else, for that matter. Fly tiers will get their fill and then some at the 26th annual International Fly Tying Symposium, Nov. 19-20 at the Garden State Exhibit Center, Somerset, NJ. With a theme of “Never Enough,” the exhibit hall will overflow with more than enough fly-tying materials, hooks, vises, books, video, tools, and more, according to symposium director Chuck Furimsky. Celebrity fly tiers and Symposium instructors include Jay Fishy Fullum, Tim Cammisa, Bob Clouser, Bob Popovics, Marc Petitjean, Blane Chocklett, Theo Bakelaar, Harry Schoel, Matt Grobert and Enrico Puglisi. They will demonstrate tying techniques, seminars, and teach classes during the weekend-long event. Cash admission to the event is $15 for Sat., $12 on Sun. or $22 for the weekend. Children under age 16 are free as is parking at the Garden State Exhibit Center. Symposium hours are 9-5 Sat. and 9-4:30 Sun. “Fly Tying Symposium visitors will see some of the most creative tiers in America and many more from overseas. They'll be more than 100 exhibit tables and 50 booths plus lectures and big screen-featured tiers every hour. Special classes will be available for private instruction … all-in-all, a cornucopia of fly-fishing and fly-tying,” said Furimsky. A US innovation that has seen fly fishermen using the strands of a kitchen mop as bait rather than an artificial insect has led to a fierce debate among anglers. 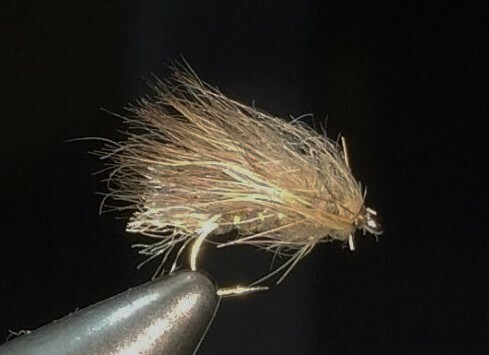 In a tradition-bound sport, where purists lure fish with tiny ersatz insects crafted of feathers and fur, the mop fly doesn’t look much like a bug. In an affront to tradition, it instead looks exactly like what it is: a fuzzy strand cut from a cheap mop and tied to a hook. Mr. Egan uses fluorescent greenish yellow. The above is an excerpt from an article published yesterday in the Wall Street Journal, again opening up the proverbial can of worms on what constitutes a fly and what doesn't. Read it here: LINK I encourage you to read the comments, too. Who knows if the trout take these flies because they appear to be a food form, or if they just grab them as they drift by out of instinct to see if they are edible? 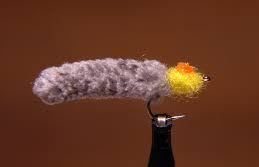 What I do know is that once they do take this fly, it is harder for the trout to expel it once they realize it is a fake because the material is made up of tiny, compacted loops of fiber that get caught by the trout's short, thorn-like teeth. This often gives the angler extra time to feel the take and set the hook. How do I know this? I've been with folks that fish these flies and have seen how the trout's teeth catch the material when they remove the fly. Does that make it less of a fly? No more than it makes the LaFontaine sparkle caddis with its fine antron fiber bubble less of a fly. In either case, the fly still has to be fished properly to get a trout to take it, and that's the point, isn't it? In my opinion, this is just another example of a fly tyer being creative. It's not for everyone, as we all have our own perspective on what constitutes fly fishing, and that's good, it keeps things interesting. So what's my own take on this fly? You won't find it in my fly box. Not because I think it is beneath me to fish, but because I prefer to fish flies that I tie and that to me are more imitative of trout foods. Would I fish it if I forgot my fly boxes one day and it was the only fly available? Sure, why not? Besides it would give my friends another thing to bust my chops about. And finally, if you want to tie a version of this fly, here's Tim Flagler tying the Mop 'N Glo. I thought I'd share a few more tidbits on the Puff Daddy; the cdc fly pattern we did the recent tying video on with Tightline Productions. I'm told that the original was meant to roughly imitate a mayfly emerger/dry/cripple in or on the water surface. It is purposely tied so that it doesn't matter what side the fly lands on. 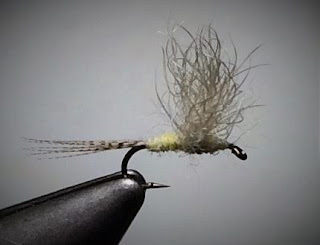 The fly works great not only for mayfly hatches, but also caddis, midges and as a general imitation when you can't figure out what the hell the fish are taking. All you need to do is change the body color, cdc color and size to imitate whatever it is the trout want for a meal. After dubbing and wrapping the body, take a cdc puff and separate it roughly in half so you don't have too many fibers, and lay one of the halves over the head with the tip going back over the body. Make a couple of loose wraps over the fibers just in front of the body, and then using your fingers, work the fibers around the hook shank. Once you have them evenly spaced, tighten your thread wraps and make a few more turns to bind the fibers in place. Next, closely clip the butts off and then finish off the head with a few wraps to cover the clipped butts, and then make a 3 or 4 turn whip finish. Use your thumb nail to break the fibers off at the bend of the hook as shown below. If you are not sure how to do this, refer to the video. 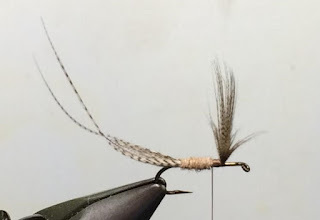 When I was in Montana, there were times when the fish wanted a spent caddis, and although the original version of the Puff Daddy worked on these fish, I thought I'd tweak the fly a little by adding spent wings of zelon as shown below before adding the cdc. It worked, too. I crushed fish the next couple of days on this pattern when the trout were on caddis. Tie some up. 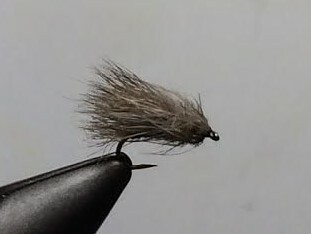 The Puff Daddy is another simple trout fly pattern that I think will stand the test of time. 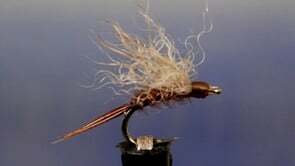 Who better than to show us how to tie his now famous Klinkhamer dry fly than Hans van Klinken? I know a lot of anglers that love fishing this fly and have made it their "go-to" pattern when all else fails. It's fairly easy to tie, and can be tied with a variety of materials for the body and wing post. The one key ingredient is the hook and it's unique shape that leaves the abdomen below the water surface, and the thorax in the film below the hackle and wing - a peacock herl thorax, which is a well-known, very effective fly material. Lots of flies are "invented" every year, and only a very few stand the test of time and gain a world-wide following. 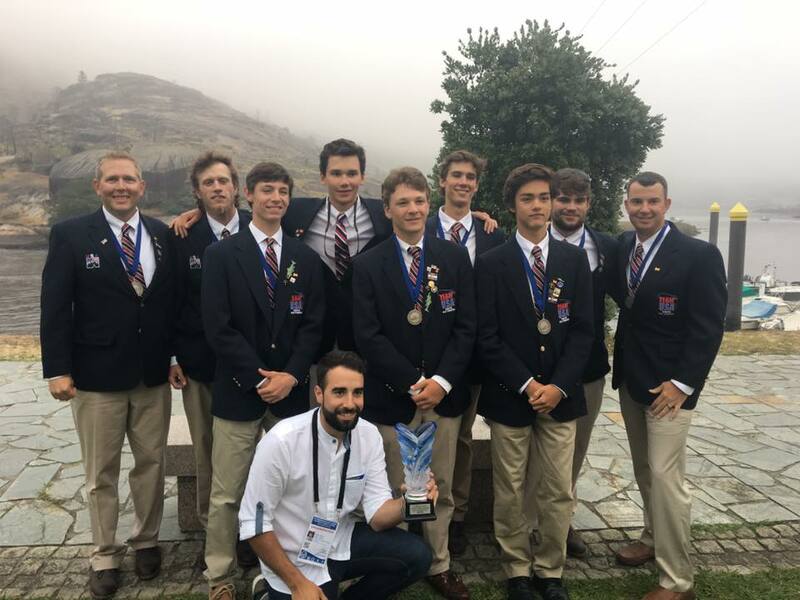 The 2016 World Youth Fly Fishing Championship was held on August 8-14 in Northwestern Spain and Team USA took overall second place. The competing US team members were Douglas Freemann, Mason Sims, Hunter Enloe, Cam Chioffi, Jack Arnot and Ryley Batewell. The French Team took Gold, and the Bronze went to the Czech Republic Team. 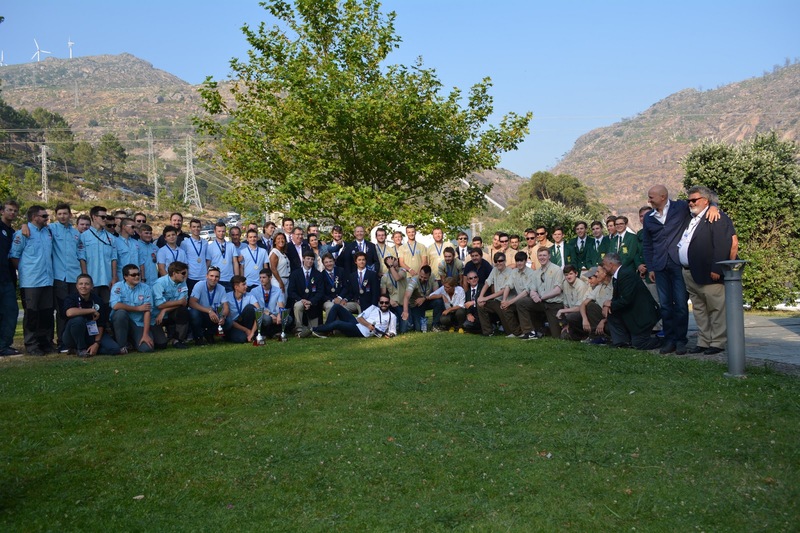 Eight international teams competed this year. Our friend Doug placed sixth in the individual standings, which was the highest for the team. As you can see below the types of rivers they fished varied greatly. Doug said that a high percentage of their fishing was done with dry flies, and most often by covering the entire beat, as he said he saw only a few rises throughout the competition. The trout were willing though, and good drift over a fish would bring them up to the top. As you can see in the last photo, some of the beats were weed and algae filled, yet Doug said they held plenty of fish. It's kind of ironic that when Doug and I first started fishing together, he fished nymphs exclusively, while I often switched to dries when an opportunity presented itself. He caught plenty of fish and sometimes politely questioned why I would fish dries when nymphs were working so well. He has continued to fish mostly nymphs in the subsequent years. And then he goes to Spain and winds up fishing mostly dries to take US Team individual top honors! We had a good laugh at that, and in the end, I think he did so well because all of that nymphing taught him to read water and know where trout like to hold and feed. He has a great instinct for knowing where the fish are. Congratulations to the US Team, and especially to Doug. 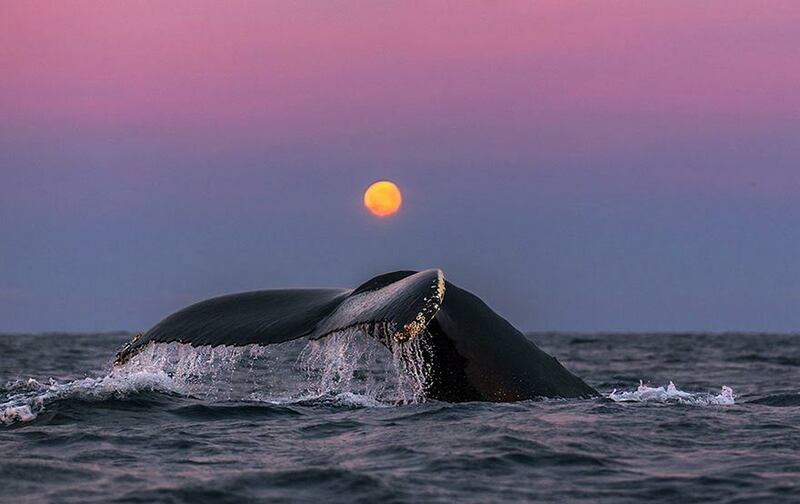 I know this has been a long time in coming, but its been that kind of summer this year - lots going on and very little time spent on the water. 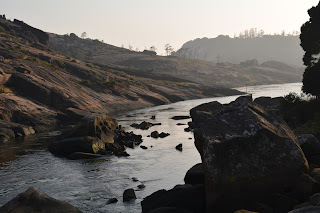 The weather has been fairly warm and with so little rain in these parts the last two months, the rivers are very low and reaching temperatures too high for trout fishing just about every day. So not only has there been little time to fish, but even when I have had time, conditions are such that I don't. And fishing is what inspires me to write; so I'm in a writing drought. We finished up our trip to Montana on the Madison River, and as expected, we wished we had more time to fish it. The river was at a good level and clear, and the weather was great. 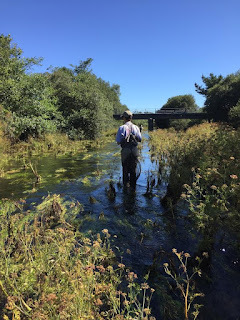 The first day we started out fishing, but I quickly switched to dries as I spotted fish rising along the quieter edges of the fast water I was fishing. There were some caddis in the air, so I put on a caribou caddis and started taking fish on top. 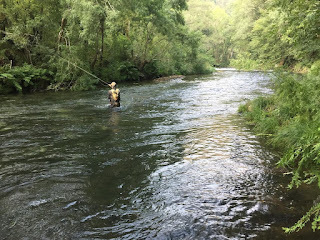 In that fast water, the fish don't have much time to decide if a fly is real or not, so a good drift over a steady riser usually resulted in a take. With the clear water, you could see the fish come up under the fly and as they opened up to take the fly, it was all I could do not to strike too soon. After spending the day fishing the riffles and pocket water above Reynolds Pass bridge, we went back to the cabin for a bite to eat before heading down river to water that in the past has been productive dry fly water in the evening. When we got there we noticed the wind had picked up, rather than calming as it usually does in the evening here. There were quite a few bugs in the air, and they too must have been put off by the wind, as most of them stayed up off the water and then disappeared as the light dwindled and the wind blew harder. There were some bugs making it to the water, and when they did land, they were quickly gobbled up by trout. There were some caddis, but they were out numbered by Epeorus spinners. We took a couple of fish on the spinners by waiting for lulls in the wind and then making quick casts to where we saw the occasional rises. Matt managed to get his first Madison River fish, a nice rainbow, by being patient and making short, compact casts to a fish working near the bank. It was a tough evening after a good day and by the time we got off the water the wind was kicking up dust and whistling through our rod guides. The next morning Matt and Paul drove down to the Henry's Fork to fish the wide, meandering currents that flow through the Harriman Ranch in Idaho. Chris and I decided to stay on the Madison and first thing in the morning we hit the fast water above the Slide Inn. We fished brown Serendipitys and Pheasant Tail nymphs and did well as long as we got our flies right down on the bottom where the fish hold. In that fast, heavy water you hook a lot of fish when you find the right combination of fly and split shot on your leader, and you also loose a bunch as the fish are strong and know how to use the current to their advantage. You don't wade this section of the river, not even just off the bank, its too dangerous and fortunately you don't have to - all of the fish are taken within ten feet of the bank or less, often only a foot or two off the edge. When the sun moved overhead, we called it quits and headed up the road to the Campfire Lodge to get some breakfast. While there we checked out the fly shop and I came across these cranefly larva flies. These flies were tied on stainless steel hooks and are big and heavy, and not something I would fish in fresh water. The guy there said they do work when fished in the fast water; but why not tie them on a hook that will corrode if a fish breaks off and the fly stays in its jaw? I got a shoulder shrug for an answer. After that we fished a few different stretches of water and took a bunch more fish on dries before heading back to the cabin. I had expected to fish nymphs, but even with the bright sun, caddis and Epeorus mayflies hatched sporadically bringing fish to the surface. I took most of my fish on what I call a spent Puff Daddy, which is my variation on a dry fly that Doug showed me a couple of years ago. It would be nice if I could tell you finished off the trip that evening with a bang, but it was more like a dud. After the four of us had an early dinner at the Grizzly, we headed up river to fish. The air was still, but very chilly, and no bugs showed at all. We fished our dries over likely holding water and did take a couple of fish, but that was it. Not that we were disappointed, we were tired and had a hell of a good week. 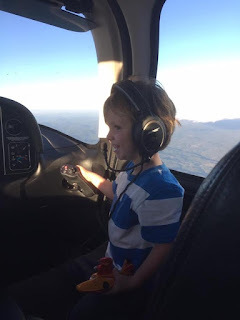 My son did well and now is already excited for our trip next year. He's been tying flies almost every night, texting me or calling with questions, and his skills are improving rapidly. Looks like he caught the bug like the rest of us. After fishing the Bighorn River for four days four of us headed over to Paradise Valley, just south of Livingston, to fish Armstrong Spring Creek for a day. 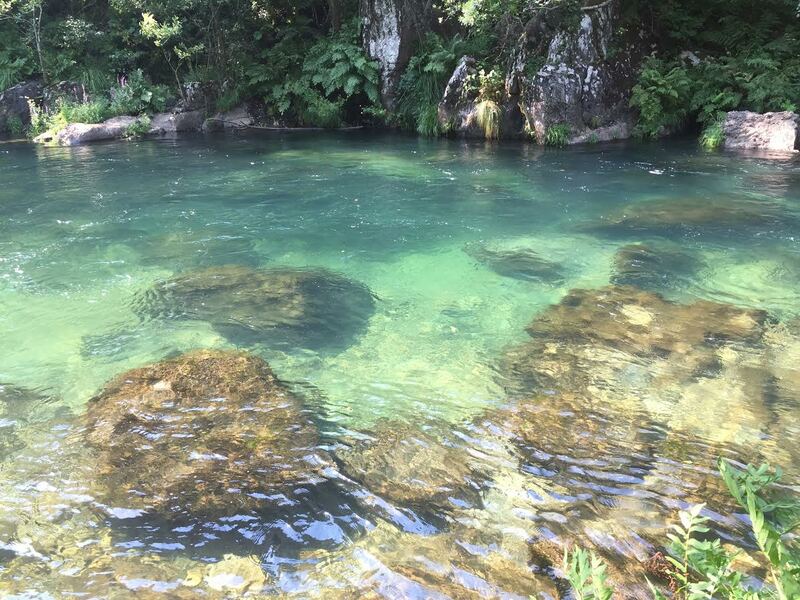 Armstrong is an internationally well-known destination that offers a wonderful fly fishing experience for a limited number of anglers each day in a beautiful setting. The river runs roughly parallel to the Yellowstone River and is about 1.5 miles in length. The consistently clear, cold flows make it ideal for both hatches and wild trout production. When we arrived mid-morning, Pale Morning Duns (PMD's) were hatching well and fish rose to take them off the surface throughout the river. The blue sky was a bright with sunshine, and the air calm, dry, and already very warm. It was easy to find a target with all fish rising, but the varied currents and gin clear water made it necessary to to use long leaders, fine tippets and accurate casts from a well-chosen position. I found a nice run where the river tightens below the long smooth pool you see above, and eased my way in a ways down from where several fish worked the edges of the faster currents. I had almost 3 feet of 6X tippet on the end of a 10 foot leader, to which I tied a #16 PMD cripple, before casting my offering to a nice brown working the left edge of the run about 25-30 feet above my position. The fish turned and followed my fly on that first cast before casually dropping back to its holding place with a seam in the undulating weeds that line the bottom of the river. My fly must have dragged. The next cast I finished with hard follow through sending the fly well past where the fish was holding before stopping the rod tip short causing the line, leader and fly to bounce back, before landing on the water in nice "S" curves, and dropping the fly a foot and a half above the fish. The fly drifted for a second before the fish rose up and took it with quick, audible sip, and I lifted my rod driving the hook into its upper jaw. It jumped a few times and in few minutes I had my first 2016 Armstrong Spring Creek brown in my net. By the time the sun was directly overhead, the PMD hatch was just about done for the day and in turn, fewer fish rose to the surface. The rise forms changed to; from confident, audible takes, to soft, silent sips. With the heat of the day upon us, the breeze had kicked up and big, fluffy clouds moved over the valley creating short-lived, passing shadows on the water. Scattered tiny blue-winged olives, small caddis, midges and various terrestrials floated by, making fly selection a little more difficult. For all we knew, each rising fish could be taking a different bug, or even taking whatever floated over them as their mood dictated. I switched to a 7X tippet and tied on my pheasant tail simple snowshoe emerger in a size #22, and spent the next few hours stalking rising fish. I took a bunch more fish, both rainbows and browns, and had a few more long distance releases. The pheasant tail simple snowshoe emerger. Learn to tie it HERE. Below me, about halfway down the pool I was fishing, my son worked a bank lined with willows. After missing a few on the take, he hooked and landed a nice rainbow on a PMD spinner. We fished until dark, taking breaks every so often to go back to the car and rest in the shade, snack and hydrate. We drank almost a case of water between the four of us - the dry air made it to the mid-nineties F. I stayed with the pheasant tail emerger and took quite a few more fish before calling it a day. We had a great time, we all caught fish, and we plan on going back again next time we visit Montana. During the steamy “dog days” of August, it is important to remember that trout and salmon (coldwater sportfish) experience serious physical stress whenever water temperatures climb above 70° Fahrenheit. Heat stressed fish often seek pockets of cold water created by upwelling groundwater, small feeder streams, or water released from deep reservoirs. These refuges allow trout to avoid or recover from potentially fatal levels of heat stress. You can help by taking the following precautions during your warm weather fishing trips. Don’t disturb trout where they have gathered in unusually high numbers. Because these fish are likely to be suffering from heat stress and seeking relief, responsible anglers will not take unfair advantage of their situation. Go to Plan B! Have an alternate fishing plan ready in case water temperatures are too high at your intended destination. Consider fishing a water body that is less prone to heat stress or fishing for a more heat tolerant species like smallmouth bass. 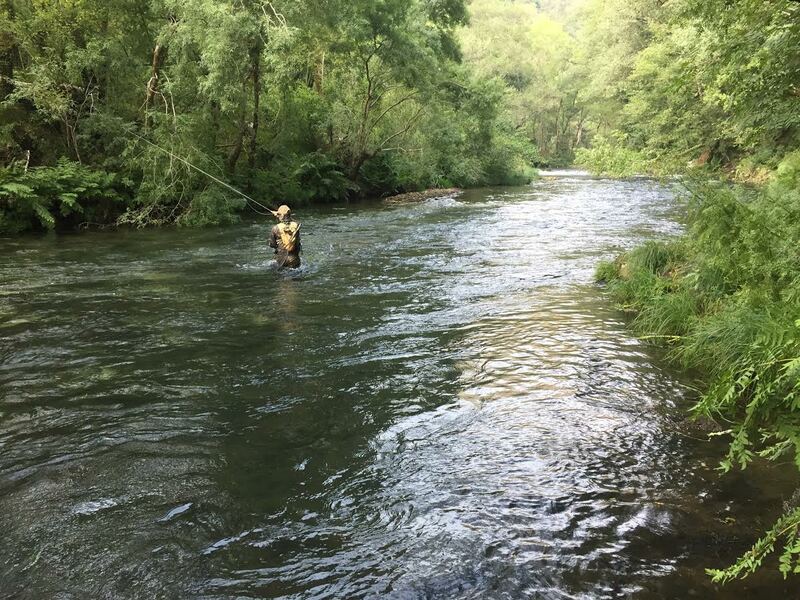 By paying attention to water temperatures and adapting fishing strategies to changing conditions, anglers can help trout and salmon to beat the heat. A few of you have sent me emails, and one a comment, asking for more information about the Bighorn. 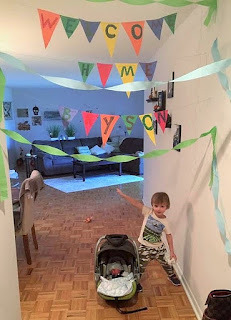 So I've taken the questions from the comments on my post of July 13, which covers the gist of what others have asked, and pasted them here along with my answers. Please keep in mind that my answers are based on my own experiences fishing the river in July, and mostly from the perspective of the dry fly angler. I have fished the river using subsurface flies, but only when absolutely nothing is hatching or rising. Sure would like to hear about your Bighorn River trip! Did you wade, or float? Float, it flows through the Crow reservation and access is very limited without a drift boat. We started everyday below the afterbay, and stopped/anchored in the places we saw rising fish or that we wanted to explore, or that we knew from past trips hold fish. Which section(s) did you fish, and which areas did you like most? This year we floated from the afterbay to 13 mile once, and the other three days from the afterbay to 3 mile. Below three mile the river had a lot of algae and plant matter in the water, and the one day we drifted to 13 mile we saw very few rising fish below 13 mile, and the water was "dirty". That said, it may be different next year, so don't assume anything because everytime we go it is different. Two years ago we fished to 13 mile everyday because we found hatches and fish the whole way, and the water was clean. What times of day did you find most productive? We caught fish all day long. They do turn off for short periods, but I haven't found one time is better than another. In the evening, lots of fish rise, but they can be very snooty and you'll have to work for them - lengthen your leader and tippet, and take your time so you make good casts and get drag-free drifts the first time over the fish. Did you stay in Fort Smith? We rented a cabin in Cottonwood Campground. We have also rented cabins in the past through other means and stayed in Ft. Smith, and they seem to all be good. None of the guys I go with need amenities - the cabin is for sleeping, eating and tying flies and getting a good shower in the am. What were the good and bad things about the trip? It's a vacation in Montana, what can be bad about it? Life is short and fishing in Montana or anywhere is awesome. It's been a week since we returned from our trip to Montana. A very fast week, one that felt like any other week at work, and except for the memories of another great trip its almost as though we never went away. 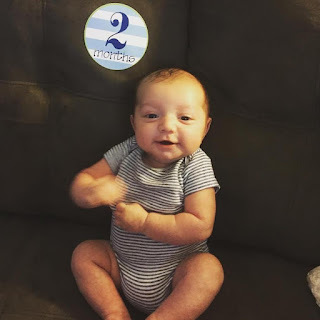 Time does fly! This year's trip was special though because my son Hunt joined the usual cast of charactors I go with every year. The first leg of the trip was spent fishing the Bighorn River. This time of the year the weather in South-Central Montana is hot and dry with daily temps in the 90's and nighttime lows in the upper 50's. The river is cool though, with the highest temp I recorded being 56 degrees F. So, during the day we wet-waded in shorts, and then switched to waders the last couple of hours of daylight. Covering your head and arms, and plenty of sunscreen, makes the days pleasant while you fish and drift the big, wide river and it's numerous long pools, riffles and channels. The river is surrounded by the Crow Indian reservation, so access is very limited and thus the river is best fished using a drift boat. We rented a couple each day for the six of us; drifting from one spot to the next as we made our way down river. We rarely fished from the boat. This time of the year the black caddis hatch every day from late morning until dusk, when both hatching and egg-laying occurs. And the trout rise to them, mostly in the riffles, 1-2 feet of water. So what did we fish? Dry flies, and only dry flies, on fairly long leaders, 11-12 feet long. And fishing only x-caddis and egg-laying caddis, #16 and 18, as I posted on July 13. And we caught fish, lots of fish; both rainbows and browns, with the browns out numbering the rainbows about 5:1. The average fish was a good 14 inches, with some pushing 20. I also managed a few over 20; it's a amazing how many fish are in this river! Here's my son with his first Montana trout, a Bighorn brown. And here's a typical Bighorn brown. These fish are well-fed and fight hard. Often these browns will jump several times just as their cousins the rainbows do. Sunset after four days fishing the Bighorn. Sharpen your hooks, and if you fish the Bighorn, bring plenty of water along! 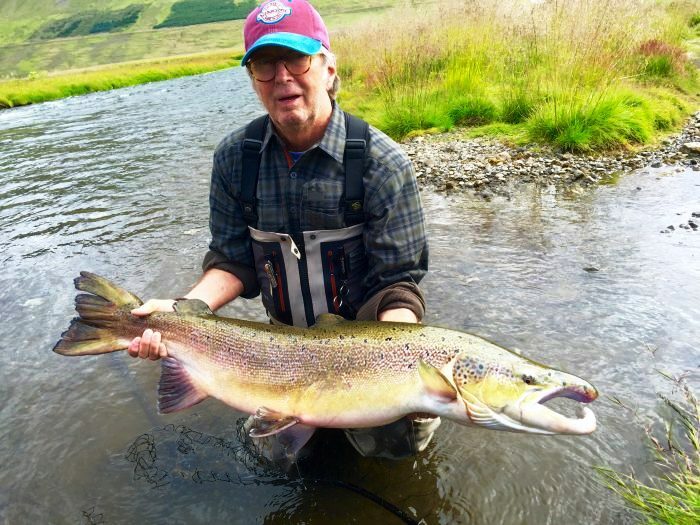 UK musician Eric Clapton has been enjoying the salmon rivers in Iceland and yesterday he managed to set the record for hauling the biggest salmon of the summer in the Vatnsdalsá river so far, guide Sturla Birgisson informed Morgunblaðið. Clapton had to run a good kilometre down river with the salmon before he was finally able to draw it ashore, the salmon was hooked and after an exciting hunt came ashore just over an half hour later, measuring 108 cm and weighing 28 pounds, making it the biggest to come ashore from Vatsdalsá river this summer. In 1974, Montana did something that stunned anglers across the state and the nation: it stopped stocking trout in streams and rivers that supported wild trout populations. After decades of use and millions of dollars invested, hatchery production was not helping, and in fact was the leading cause of the collapse of the fishery. Ground-breaking research on the Madison River in the late 1960s and early '70s organized by fisheries biologist Richard Vincent led to that decision. His study results showed that as hatchery production increased, trout abundance decreased, and native stocks were displaced. Nearly forty years after Richard Vincent's study, Montana is one of America's premier trout fishing destinations. Focusing on habitat and discontinuing river hatchery stocking, trout fisheries have recovered and wild populations are self-sustaining. I'm heading out there in two weeks with my son so he can experience all that is fly fishing in Big Sky country. Awesome video taken at several locations along our local river, The South Branch of the Raritan River. As Tim says on his video page, "A little too warm to fish, but no harm in simply watching trout feeding on Trico spinners and duns." 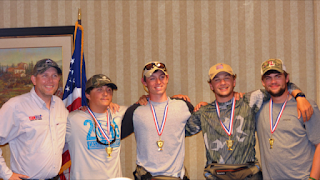 The 2016 National Youth Fly Fishing Championships were held this past June 24-26, in State College PA with 7 teams of 4 anglers competing. They fished over a two day period on Spring Creek, The Little Juniata and a nearby lake. And as luck skill would have it, Team USA2, won this year. And I'm very proud to tell you that Doug Freemann, was on that winning team. I've said it before; that kid can fish! Team USA2 LR - Coach Chris Smith, Ricky Ozmar, Riley Bateman, Douglas Freemann and Mason Simms. On Friday I had meetings in Scranton, PA, so I packed an overnight bag and my fishing gear into the car before I headed out in the morning in order to end the day fishing in the Catskills. I got to the cabin in Roscoe in the late afternoon, and then quickly headed to the river. As I drove down along the river, I could see that many folks had the same idea as I did; all of the popular spots had anglers lined up in them. The lot at Barnhart's was full with about 7 or 8 cars, Hendrickson's pool had a few guys, Cairns of course had a small legion of folks fishing it, and so on down the river. I went to spot I thought might have a few anglers, but much to my surprise and delight, it was void of fishermen. The weather and water were perfect. Thin high clouds muted the sun and the breeze was negligible. The air was in the low 60's F, and thick with humidity. The river was at a good level, clear, and in the low 50's. A fair number of caddis were mingling about above the water, and March Browns hatched sporadically. The caddis were a mix of early ginger caddis, shad caddis, and smaller grannoms. A fair number of #16 rusty spinners also dotted the water surface, likely of the Blue-winged Olive species that hatch in the mid to late mornings this time of the year. As I rigged up my rod on the riverbank, I scanned the currents that skirted the half-exposed rocks along the far bank, and noted a few rising fish in the seams and eddies. I waded out past the halfway point and watched the couple of fish rising for a few moments. One was rising aggressively, likely to caddis, and the other two were sipping in their meal, likely spinners or spent caddis. I decided to move up to work the one rising just above an exposed rock with regularity. This was the one I thought was working caddis that were either emerging or trapped on the surface. I tied on a tan bodied caribou caddis, size #16, and after making a couple test casts, I focused on the target. After landing a few casts above the target that created drag almost immediately, I realized I needed to get closer and above the target, so I could lay down a parachute cast and let the current bring the fly into the fish's feeding zone from above. Once I was in position, I dropped my fly about three above the working fish, only to have the fly move in a circle before it got to where the fish was rising. Multiple current played havoc with my fly and line, which meant I had to drop the fly only a few inches above the fish in order to get a good drift. It also meant the fish had to react in a nanosecond in deciding if it wanted my offering. It was the only option. So I false cast for a bit to feel the rhythm of the rod and line as it laid out in front of me in the air. Once I was comfortable, I stopped my forward cast as the fly moved past the target, and it bounced back with slack in the leader while the fly landed only 6 inches or so above where the fish had been rising. The fly moved a few inches and then a golden shape moved rapidly from below and grabbed the fly like it was just another caddis drifting by. After a brief but spirited fight, I reached out with my net and landed a nice brown of about 14 inches. I had been so focused on the fish I didn't realize until I'd released it that several anglers had joined me down river. So I moved up a ways to work a few fish that were working near the bank in a short run that had seams and eddies and soft water. The surface currents were hard to read, and made the majority of my casts worthless well before the fly got near the fish. I love a challenge, and worked hard over the next hour to get the right cast and drift. The results were good, but not great, with three fish hooked and one of them landed. The two that got off I had on for a bit before the hook come out. I suspect they were not hooked well due to the fact that I had to have a lot of slack in my tippet to get a good drift, so the hook set was less than solid. Who knows for sure? I got them to take my fly, which is the whole point, but it would have been nice to land them. All of the fish took the caribou caddis. 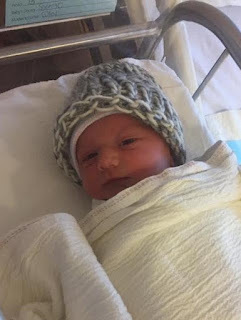 We didn't fish this past weekend, instead we spent most of it hanging out with Henley and tying flies during nap time. 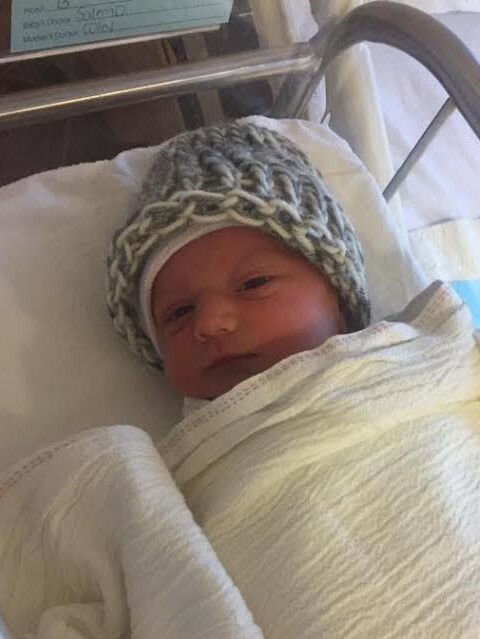 You see, my daughter came up Thursday and dropped him off with "Pop-pop," before heading to Philadelphia for a few days. It was a wonderful few days with the Little Man. With it being mid-May and some great hatches coming up (once winter moves out for good), I had to catch up on tying the dries I'll be fishing in the next couple of weeks. First off, here's an Extended-body March Brown tied on a size 12 dry fly hook. 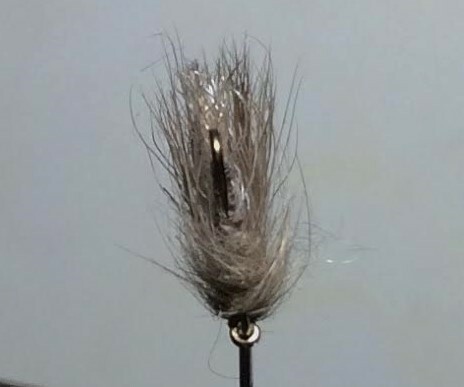 The first picture shows the unfinished fly with the exposed shank in front of the wing - after I tie in the hackles, I cover the shank with a single layer of thread - this allows allows me to wind the hackle uniformly without crowding the eye. The finished Extended-body March Brown. I tied a bunch of Caribou Caddis, too. 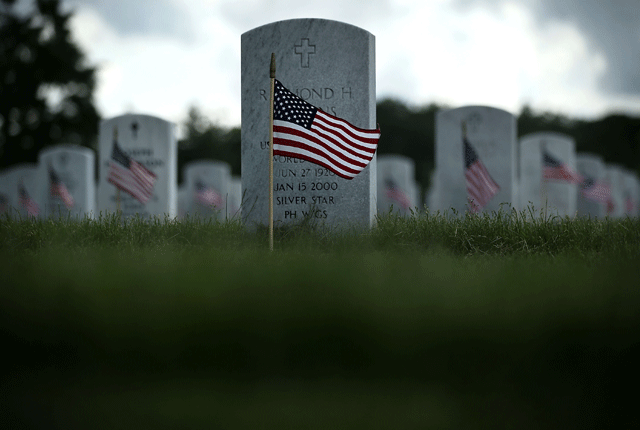 Some with tan bodies, some with olive green bodies, and a few with gray bodies. And with the small Sulphurs about to start, I tied a bunch of #16 and 18 snowshoe rabbit Sulphur emergers - Sulphur Usuals. It's a simple fly that works well both here in the East, and out West for the PMD's. 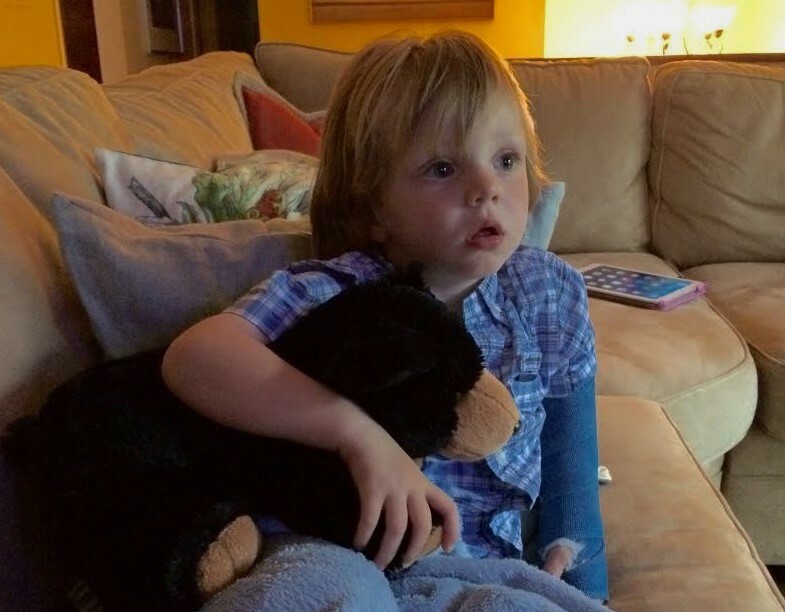 And here's Henley sitting on the couch watching Sponge Bob Square Pants. I haven't watched that many cartoons in decades! 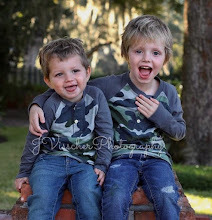 The phrase of the weekend was, "Pop-pop, sit here!" It didn't matter where we were, I had direct orders to sit next to him at all times.